In my previous post I showed you a look using brand new products. In today's post, I'm focusing on the skin. 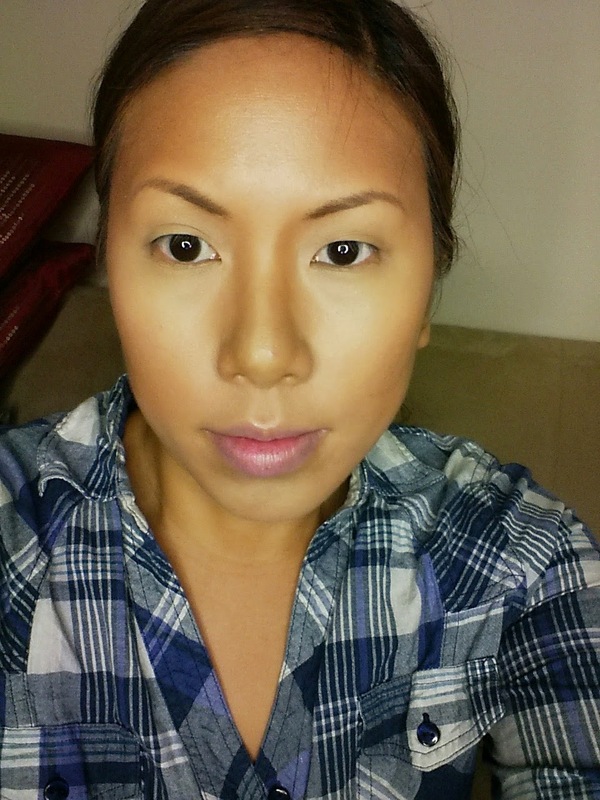 I actually used concealers from LA Girl Cosmetics to get my foundation coverage. Check it out! 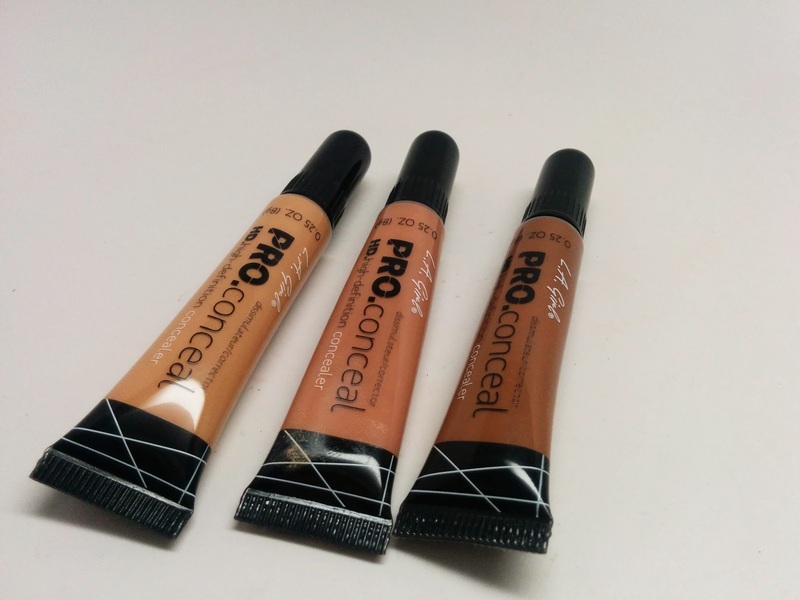 I picked up a whole range of shades of the LA Girl Pro Concealers from PhamExpo. It's a little hard to tell from the packaging how the color really comes out. I randomly picked the following colors are and they seemed to work for me. These concealers have a brush tip to them so you can literally paint the product on your face. Or you can remove the brush tip for sanitary purposes if you're using this in your kit. I find that the coverage was much more opaque than I expected which I liked! First I applied the highlight shade. Then I applied what I thought would be a contour, but it was so close to my skin tone that I just blended it in as foundation. Next I moved to a much darker shade and applied it in my contour areas. I blended everything in with a pointed foundation brush. I was really happy with the way everything seamlessly blended together. I just set everything with a translucent HD Powder from City Color Cosmetics because I didn't want to muddy up the colors. You can definitely get full coverage. I wouldn't do a full face again since I wouldn't want to run through product - my first impression is that for highlight and contour I really like these guys. This is the final product with some blush and shimmer highlight. I purchased my LA Girl Concealers from LadyMossBeauty at PhamExpo the 18 piece set is only $30.99 or just $2.50 each! But I know you can also sometimes find them at your local beauty supply. 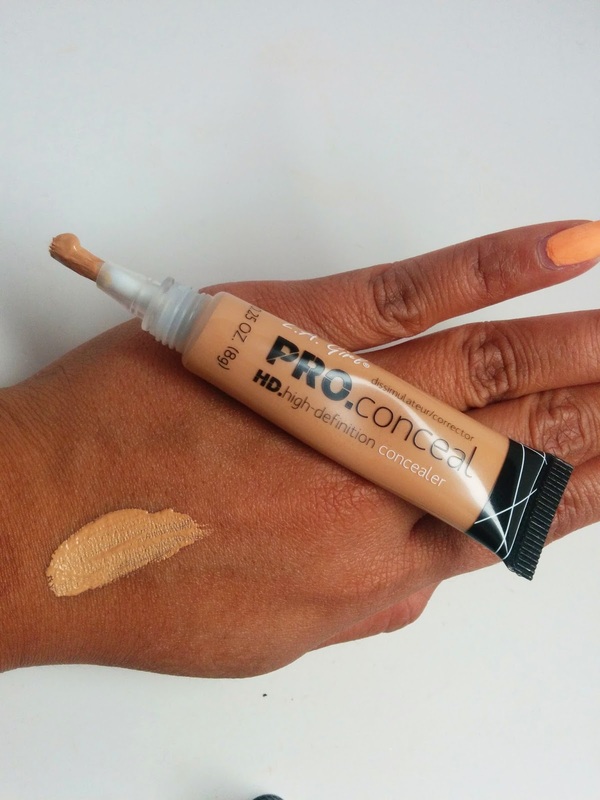 Have you tried these concealers? Everyone was talking about them on YouTube, I couldn't resist. I'd love to hear your thoughts in the comments below!